Gameplay plays second fiddle to atmosphere. In recent years, 2K Games has carved out a name for itself as the go-to publisher when it comes to basketball titles. The company's latest offering is NBA 2K18, and with the 2017/2018 season kicking off recently, it is a worthy digital companion to the real thing. We recently took to the courts (virtually of course) to see whether NBA 2K18 continues to propel the franchise forward. Everything in 2K18 is designed to look cool, and project an aura of awesomeness. From the red, black and white geometric stylings of the interface, to the quotes from past and present players, 2K tries to create a world that gamers want to be a part of. Nowhere is this more evident than in The Neighbourhood, a MMO platform that allows gamers to create their own player and explore different elements that the 2K community has to offer. 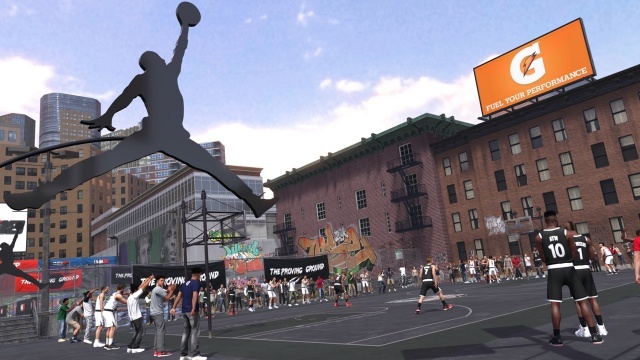 While NBA 2K18 has had its problems around data and in-game currency loss, The Neighbourhood is perhaps the most noteworthy element of the new game, and likely serves as the way forward for the franchise. In the virtual world, gamers can interact with one another in matches and events, as well as earn points to purchase new swag and experiences for their MyCareer character. The emphasis in The Neighbourhood leans more towards getting your hands on the latest merch, which naturally includes shoes from the likes of Nike and Adidas, along with the athlete co-signs that come with it. 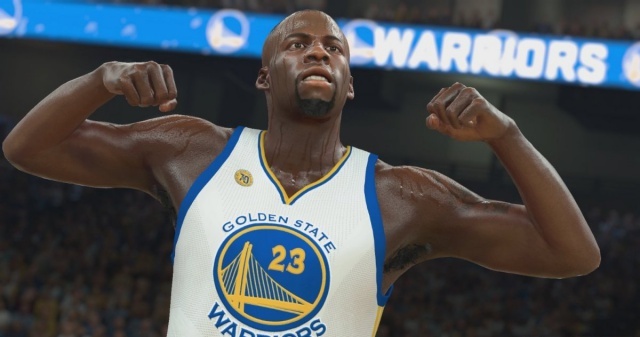 While the ability to deck your character out in the latest swag or fresh haircut can prove enjoyable, we don't think it needs to be as large a focus for future 2K games. Instead, we think skill development, as well as in-game events tied to actual NBA games is the way to go. Moving to the more traditional modes of gameplay, NBA 2K18 has made a concerted effort to reproduce the broadcast experience of an actual NBA game. Prior to your match loading for example, three members from TNT's Inside the NBA preview show appear, running through the different elements of the game, including players to watch out for, different match-ups and how they think the game will play out. To that end, Ernie Johnson, Shaquille O'Neal and Kenny Smith all offer great colour commentary and banter. Once the match loads, you're greeted by a number of different options in terms of how the game starts. This varies between a highlight package for top players with Kendrick Lamar's Humble in the background, or a performance of the American national anthem, or a dance routine from some cheerleaders. We also get things like on-court interviews with players in between breaks, halftime shows and recaps from the Inside the NBA team. 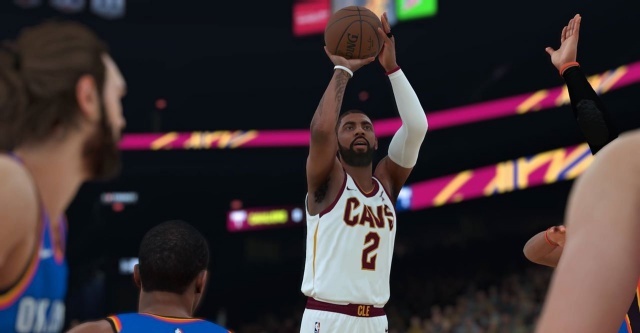 Compared to popular sports titles like FIFA 18 and Madden 18 then, NBA 2K18 seems to place a greater emphasis on what is happening off the court than on it. Speaking of which, how does this basketball game actually perform as a basketball game? Well, things could do with a bit more spit and polish. For us, the mechanics seemed a tad slow, even when trying to keep up the tempo in passing or dribbling down the court. As such, when you're trying to manipulate the space and create a nice opening for a shot, the gameplay does not feel responsive enough. Another element that frustrated at times was starting a play once the opposition scored, with passes not always going to the intended platers. Add to that the camera view, which is slow to pan when you move from your side of the court to the opponent's end, and things start to feel sluggish. One aspect of gameplay that also confused was defending, and in particular trying to swat the ball away from opponents, as you often gave away a foul most of the time. As such, you're almost forced to wait and block jump shots, instead of trying to get the ball, which doesn't seem all that fair. It's not all bad news though. The shooting mechanics were very good indeed. One could simply press the square button (PS4) to take a quick shot, or fake jumper, or make use of the analogue sticks for different types of shots. Once mastered, you have a number of great options to utilise inside the paint. As such, those nimble fingered gamers amongst us should be easily able to terrorise defences with the array of shooting styles in NBA 2K18. Beware, however, as the release indicator bar used while shooting can be deceiving, as shots released at the right can also bounce off the rim instead of hitting nothing but net. NBA 2K18 is evolving, with The Neighbourhood clear evidence that 2K is trying to tap into the community of avid basketball fans it has. While this should yield dividends in the long run, as The Neighbourhood has plenty of objectives to keep gamers interested, it feels like some of the actual on court gameplay is being put on the back burner. As such, for gamers that are looking for a basketball game that tries to emulate what the genuine article is like, NBA 2K18 is still a few steps off the pace. That said, when it comes to pageantry and atmosphere, 2K is getting a lot of things right. We only hope that next year's iteration is a bit more balanced, with equal parts sizzle and steak.